Tehnohim BA Ltd is a company registered in 1999 with the primary aim - development and production of specialized reagents and additives for the food industry. 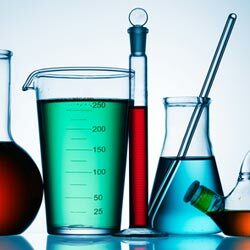 Our specialists have extensive industry experience in the chemical and food technology and long experience in research. As of 2009, passing through a series of laboratory and full-scale tests, we have developed quality highly liquid fertilizers. These are universal & specific fertilizer for flowering plants and many types of specific fertilizers for pepper, tomatoes, potatoes, raspberries, peaches, pears, herbs, seedlings and more.